BLOG DESCRIPTION: I've been a football fan almost as long as I've been a baseball fan. Started out with the Minnesota Vikings during the 80s and 90s. Then moved to Virginia so adopted the Washington Redskins. Now I'm in Wyoming and so the Denver Broncos are my team. In this blog I cover all football, but with an emphasis on those three teams. MY REVIEW: Football season doesn't start for a few more months, but of course there's plenty going on with trades, free agencies and so on. If you're a fan of the Vikings, Redskins and Broncos, check out this blog. Peyton Manning is holding a press conference even as I type. He has decided to play for the Denver Broncos. Tim Tebow is out of a job. But rather than keeping him - just in case Manning gets injured or is unable to play, they are apparently going to trade him as fast as possible. And I'm a bit bummed about that. Yes, I know professional sports are a business...but there's also some emotional attachment there. Just as I couldn't root for my Vikings after they signed the Packer, Brett Favre (the Packer in Purple, I called him), so I don't know if I'll be able to root for the Broncos. Oh, I'll still watch and report on them... but I dunno...this has left a sour taste in my mouth. A few years ago, when Jay Cutler pitched a fit and demanded to be traded from the Broncos - after they had tried to get Matt Cassell - I was on the Broncos side. I thought Cutler had behaved childishly. "It's just a business and he should know that," I thought. Well..it's 3 years later and I've changed my opinion. Cutler was treated badly by the Broncos and so is Tim Tebow (and so would have been any quarterback who lost their job to Manning). I'm not too impressed with Manning over this. I admit I didn't follow his saga, but if my impression is correct, he's the one who called around to six teams and said, "Hey, what will you give me if I play for you?" thereby attempting to steal the job of an already entrenched quarterback. Well, we'll see how it plays out. I don't want anything bad to happen to Manning - I want him to enjoy a long and full life with full use of all his limbs - but it would be funny if he got hurt the first game of the season and had to retire, and the Broncos had to go scrambling for another quarterback and ended up with a 0-16 record. BLOG DESCRIPTION: I have been a baseball fan most of my life. I grew up in Minneapolis, Minnesota. I was 13 years old when Kirby Puckett was called up in May and made his debut with the Twins - going 4 for 5. I saw both World Series' runs the Twins had, and was there when Kirby played his last game. Now that I've moved to Cheyenne, Wyoming, I've added the Colorado Rockies to my allegiance. This blog will therefore cover the Twins, Orioles, Nationals and Rockies in detail. I'm also a fan of individual players on certain teams. And there are teams that I use mind-control in order to make them lose every day - for example the Yankees. I'm not too fond of the Boston Red Sox after the way they treated Tito Francona, but I do like Jacoby Ellsbury. And as for the Seattle Mariners, it will be interesting to see how Ichiro Suzuki does in the 3-hole instead of his normal lead-off spot. I'll also be playing MLB's Beat the Streak and if they bring back MLB Survivor, I'll be playing that, too. I'll share my picks on this blog. So sit back, have some poporn and crackerjacks, and some Pepsi, and enjoy the baseball season along with me. MY REVIEW: Most sports blogs are told from the male point of view. Caroline Miniscule covers sports from the woman's point of view. Not that there's much difference in reporting - sports are sports. I'm really excited to see Jamie Moyer as part of the Rockies staff. I've been a fan of his ever since he was with the Mariners, and was bummed when they let him go. Indeed, one of my favorite baseball advertistments (released in the Mariners' market) was Jamie Moyer having his fast ball measured by a speed gun that measured in kilometers. He takes a look at the speed of it - 140 km, and says, "Ooh la la." --What in the world? Soccer? --What happened to Chone Figgins? 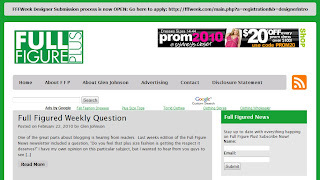 BLOG DESCRIPTION: Everyone knows who the President of the United States is. Some might even know who the Vice President is, as well as the Secretary of State. But who knows the names of our diplomats - our ambassadors to various countries, our envoys, our special representatives? Who knows the names of the organizations set up under governmental aegis, and what they do (and how much tax money they cost)? Who knows the names of the organizations set up by the UN - who even knows the UN's charter? This blog will endeavor to give faces - and names- to the shadow world of diplomacy. 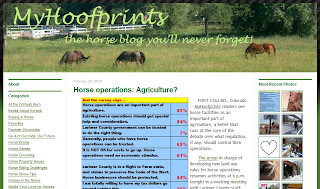 This blog is updated Monday through Friday, and occasionally on the weekends. MY REVIEW: This is a blog whose time has come. As the description says, we all know the name of our President, Barack Obama, and the VP, Biden, and we all know Secretary of State Hilary Clinton. Who else do we know? Do we even know what they are doing with our tax dollars? This blog is more information than opinion. It shares the daily schedule of Hilary Clinton and the diplomatic corps, and then gives biographies - albeit from Wikipedia, on what the the various institutions are that are diplomats work with. --What is Food for the Hungry? --What is the Milennium Challenge Corporation? --What is World Water Day? --What is the United States Foreign Service? --What is the American Ireland Fund? --What is the CSIS Trilateral Nuclear Dialog? 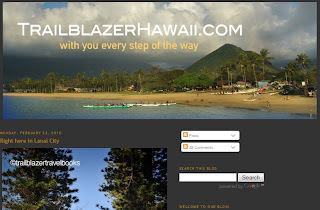 MY REVIEW: The website to which this blog is attached is an excellent one for campers. The blog is also a lot of fun as the author shares her travel tales, and lots of cool photos of beautiful scenery. Of course the color photos will lose something on the b&w kindle, but then b&W photography has a beauty all its own, too! I woke up and didn’t hear rain on the roof of our 5th wheel. Yay! Still sore from yesterday’s clearing trees, I couldn’t stand the thought of doing my resistance exercises. A walk on the beach sounded a lot nicer. It’s no wonder that people use weather as a metaphor for the trials of life. After the storm subsides, it’s such a relief to feel the winds calm, the clouds part, and the sun’s warmth. I guess I’m a “glass-half-full” kind-of-a-gal. Between sunrise and sunset we cut down trees in Baker Beach and Rock Creek Campgrounds. We started some work in Cape Perpetua but we pooped out after one tree. We headed home (Tillicum Campground). We got back just in time to check the restrooms, check the iron ranger, make pancakes, bacon, eggs and sausage for dinner then go for another walk on the beach at sunset and low tide. Oh yeah and, I REALLY need a shower! There are eleven novels in the "Barsoom series" as the John Carter of Mars series is known (Mars is Barsoom in the Martian's language). 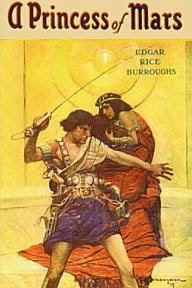 The books were written by Edgar Rice Burroughs, most famous as the creator of Tarzan. He also created the Pellucidar series (Journey to the Center of the Earth, and so on). There are plenty of 99 cent versions of the first five novels on offer in the Kindle store, and I decided on one titled John Carter of Mars that had an illustration of a green martian as the cover. I suppose, because these books are so well-known, at least to a certain segment of the populace, the entity offering these books for sale didn't feel the need to give very much description of them, which is a pity. Only the titles of the five books were listed (and the fact that a glossary of people, places and things is included, but not mentioned, I find puzzling. You're competing with five other rivals - and yes your cover is the best )for all that it doesn't appear when you look at it on the Kindle!) but any other things to differentiate yourself from your competitors would be helpful. The table of contents is not "hot", so I'll have to read through each book chronologically.